A reverberation chamber (mode tuned/mode stirred chamber) is a shielded enclosure or resonant cavity for RF testing which is statistically isotropic, random polarity, having RF uniformity within specified limits. Typically it has a paddle (or tuner) which stirs up the field, randomizing the boundary conditions. Mode tuned is where the paddle is stepped to a position and then RF is applied for a dwell time sufficient to exercise the equipment. Mode stirred is when the paddle is continually turned with RF energy applied for a full paddle revolution. 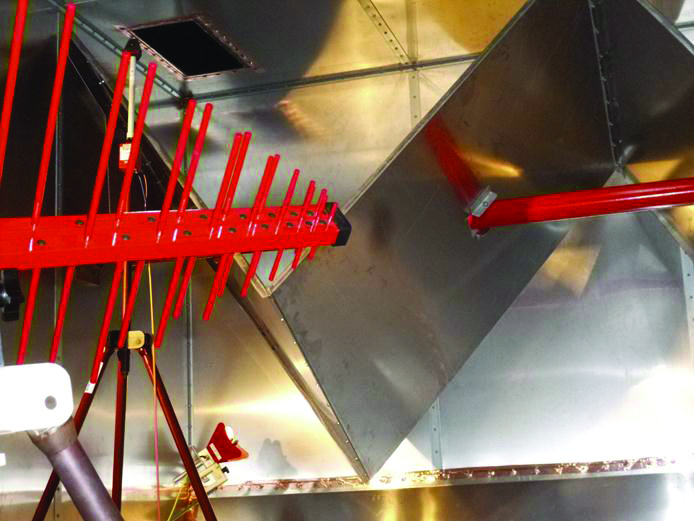 Reverb chambers are useful for radiated susceptibility, radiated emissions (total radiated power), shielding effectiveness, and many other troubleshooting scenarios. The benefits to reverberation testing are numerous. RF is applied to all exposed sides of the device under test (DUT) during a full 360° turn of the paddle, instead of a single side. For direct illumination testing, many standards require the all apertures of the DUT to be illuminated. On complex items this can be difficult – even impossible. Window effects testing, required when applying direct illumination, is not required during reverb testing because the field intensities are constantly changing. SAE ARP 5583 states that the reverb is the recommended and preferred method to show compliance for large and/or complex Level A (flight critical) systems. 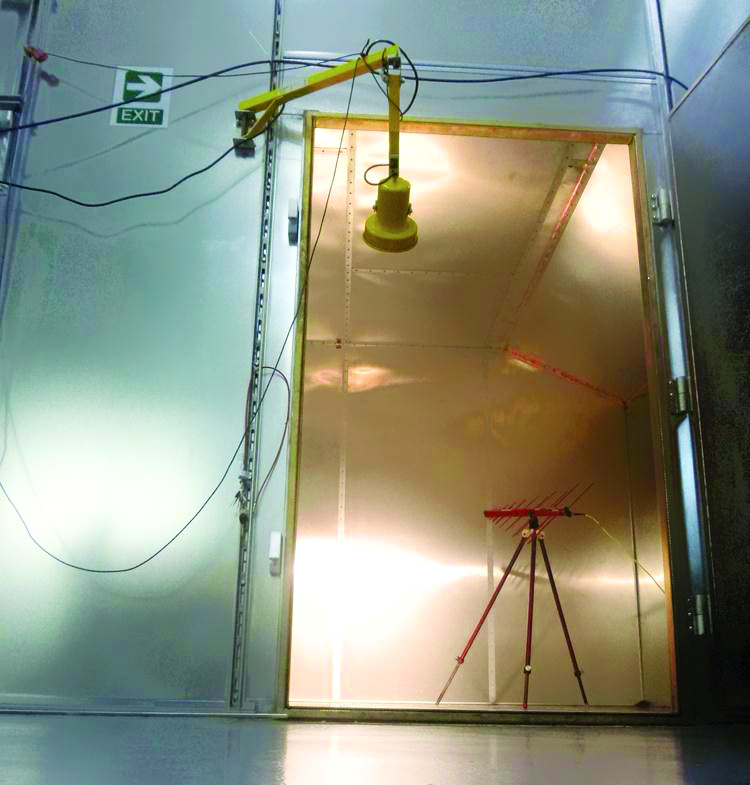 Test repeatability is much easier to obtain in a reverb chamber with proper processes, and running the test is much less complex than a single aspect angle test. Antenna distance, aim (focus), 3 dB beam width, location of the field probe, EUT layout, and location of the EUT in the working volume are all less of a factor in the repeatability of test. 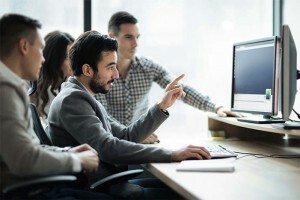 You should know if reverberation testing is right for your program. Reverb chambers are random in polarity which makes it challenging in determining directivity of RF energy. Testing multiple field levels on a system, such as outside the pressure vessel level and inside the pressure vessel level, can be difficult; all equipment in the chamber is exposed to the same field. There are limitations on pulse width due to a high Q (efficient) chamber having large amount of stored energy. If you have small, simple equipment, single aspect angle tests may be faster and sufficient for test coverage. 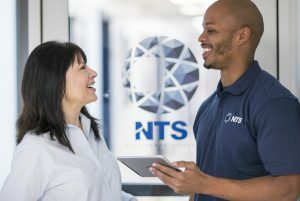 There are ways to compensate for each, and an NTS engineer can help with suggestions or assist you with a test plan. For more detailed information about reverberation testing at NTS Rockford, Fullerton, Plano, Tempe, or Boxborough, call 800-270-2516 or email us at sales@nts.com. Request a quote today!